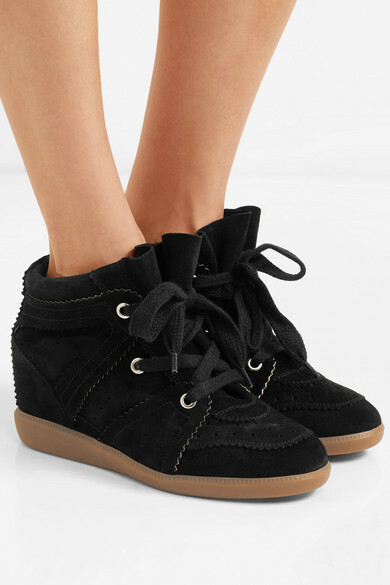 The cool girl's must have a few seasons ago, Isabel Marant's wedge sneakers have made their return - Rosie Huntington-Whiteley was recently spotted wearing this 'Bobby' pair. 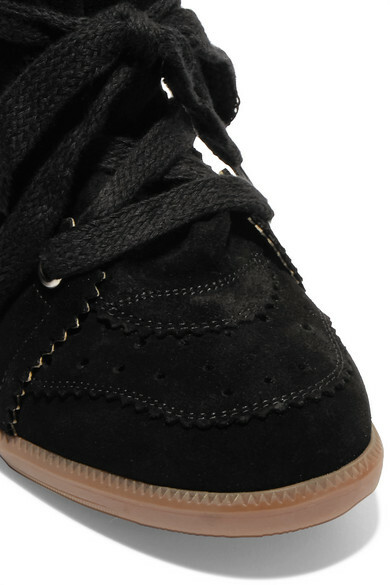 Made from suede and finished with the original perforations and serrated trims that reference classic brogues, this style is set on an internal 85mm rubber wedge heel that's ideal for day-long wear. Style yours with denim and a tucked-in shirt. 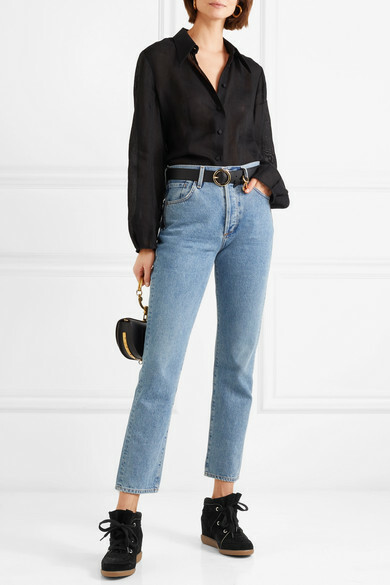 Shown here with: Goldsign Jeans, Khaite Shirt, Chloé Shoulder bag, Chloé Belt, Laura Lombardi Earrings.